The Delta X 100/12 system will make your searches quick and easy, while providing highly reliable results. 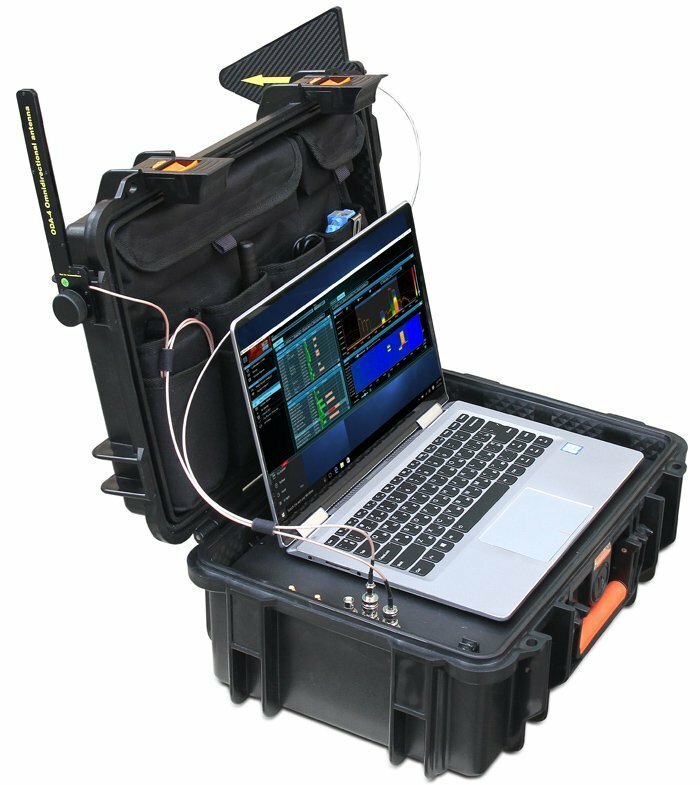 The system’s hardware incorporates a powerful spectrum analyzer which provides super-fast speed of measurements with extreme sensitivity, while the antenna switcher and low-frequency converter extend the system’s functionality. Finds hidden surveillance devices employing the digital standards GSM, 3G, 4G/LTE, Bluetooth, Wi-Fi, DECT, etc. Supports storage of an unlimited quantity of signals. Full information is stored in the log and can be reviewed during the detection or later. Multiple logs are supported. The Known Signals table allows the system to reject TV, FM and other ‘friendly’ signals while maintaining high sensitivity to unknown signals. Comes in 3 models, DX100-12, DX100-4 & DX2000-6 to choose the correct device see the comparison chart for your requirements.